Perched magnificently upon a granite hill, the bold, striking architecture of Alila Fort Bishangarh appears seamlessly sculpted from the surrounding rustic terrain, overlooking 360-degree views of the impressive Rajasthani landscape. 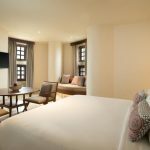 Alila Fort Bishangarh, a magnificent hotel in Jaipur, India is the ideal launch pad to start exploring the much famed attractions in and around Jaipur. Alila Fort Bishangarh is legendary amongst heritage hotels in Jaipur for the adaptive reuse of a 230-year-old warrior fort into one of India’s most unique heritage properties. 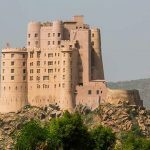 According to historical records, this was once the residential abode for various kings, which explained the more stately decoration. Two of these royal quarters now house the main restaurant Amarsar, named after the birthplace of the royal Shekhawat clan. The fort now begins a new legacy, forged in exceptional facilities and unforgettable experiences. 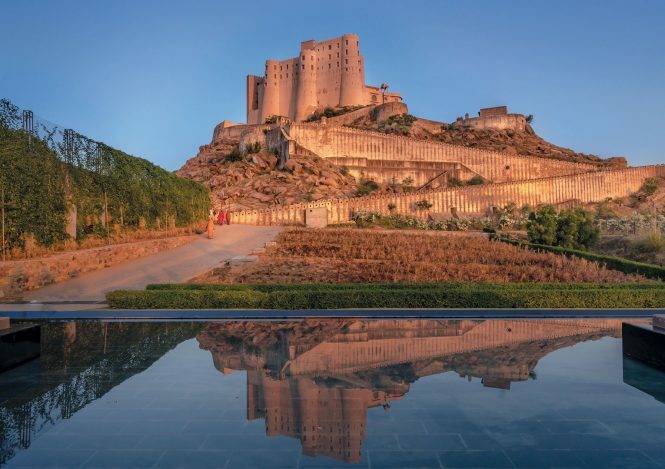 work of passion and endurance spanning almost a decade, the rebirth of this historic fort into the stunning Alila Fort Bishangarh provides an architecturally and historically rich experience for guests, encompassing fun, indulgence, discovery, and respect for the past. A walk through the broad corridors (deliberately left open to let the breeze in) with granite stones peeping out every here and there; where standing in the courtyard, one can gaze up at the open sky to have the sun warm your face or enjoy the rain… there is a quiet sense of tranquility and reverence that can be felt … a feeling of the utmost privilege to have arrived. At Spa Alila, our idyllic spa in Jaipur, the goal is to help bring you back into balance naturally with treatments personalized to your needs. Through the heartfelt touch of our experienced therapist, our naturally active products and maximum guest input, we create a new dimension in nurturing and divine pampering rituals. Surrender to the blissful Spa Alila experience and you’ll see and feel the benefits in your appearance, your spirit and your overall sense of wellbeing. 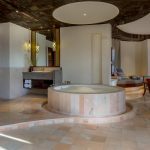 The spa also offers a range of yoga classes for guests who seek to invigorate their spirit, along with a variety of self-care recommendations to maintain a balanced sense of well-being. Generously appointed guest rooms come with all the modern comforts and conveniences, including expansive bathrooms, footed/built-in bathtubs and large daybeds. 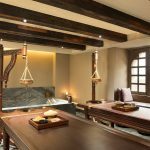 The library, set amidst old marble pillars, bears testimony to the old kingdom with the size of its holdings mapped out on the wall, and Spa Alila, carved out between granite rocks in the old dungeon, provides atmospheric settings for relaxation. A sun terrace with a swimming pool. With our compliments: wifi internet access throughout the resort; access to play Alila and Fitness Centre; access to library situated by the courtyard, stocked with a great collection of historical books, English and Hindi movies.